The European InsurTech market is full of local events where startups, corporates and investors meet to discuss trends or business opportunities. 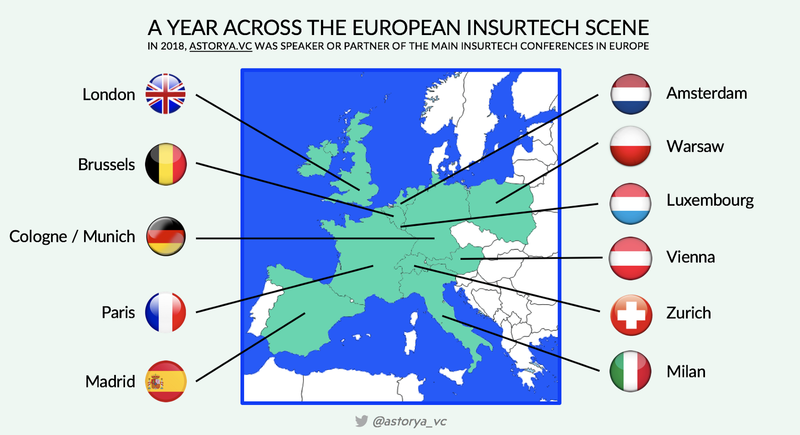 Having a vertical focus on insurance-related startups at astorya.vc, we are careful to be deeply connected to each local InsurTech hub. That’s why we were glad to speak or partner with so many InsurTech events all over Europe in 2018. Thanks to all of these events for having us on stage either for panel discussions or talks, to share our views on what is happening in the European InsurTech scene.